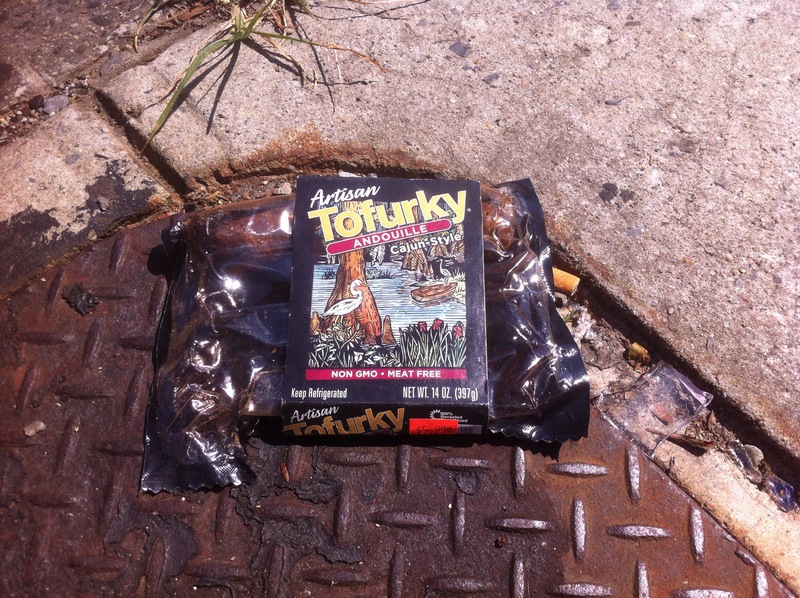 If you lost your Artisan Tofurkey Andouille Sausage, it is roasting on a cable grate on Grand Street between Havemeyer and Roebling. No rush to retrieve it, as not even the pigeons are interested in this treat. 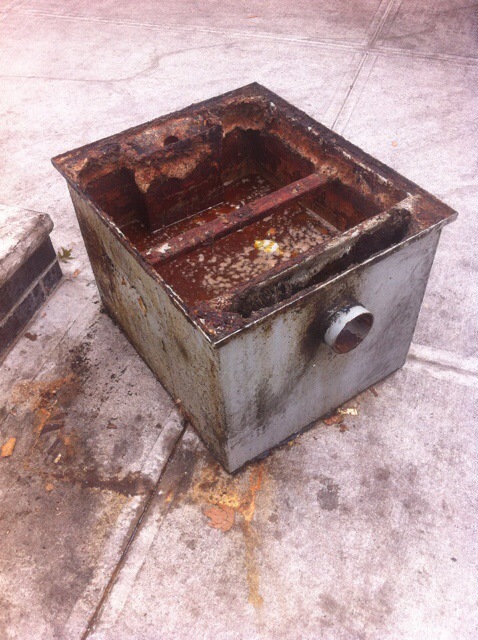 If you lost your industrial fryer vat full of rancid cooking grease, it is on Frost Street between Graham Ave and Manhattan Ave on the south side of the street. Please come pick it up soon as its smell is intoxicating. If your lost your decorative sack, it is at the corner of Powers and Humboldt. Please come pick it up quickly before it is filled with garbage from the White Castle. If you lost your apple crisp scented candle lamp, it is on Graham Avenue between Jackson and Withers streets. If you lost your lemon, it is on Powers Street between Judge and Olive Street on the windowsill of the garden apartment with the Nightmare Before Christmas curtains. If you lost your infant medicine dropper, it is on Ainslie between Humboldt and Bushwick on the south side of the street by the condos with the bear-proof garbage area. Please don’t retrieve it; sanitization has it’s limits. If you lost your vegetarian organic refried beans, they are on the west side of Bushwick Ave at Ainslie Street in front of Matt Torrey’s bar in the tree pit. 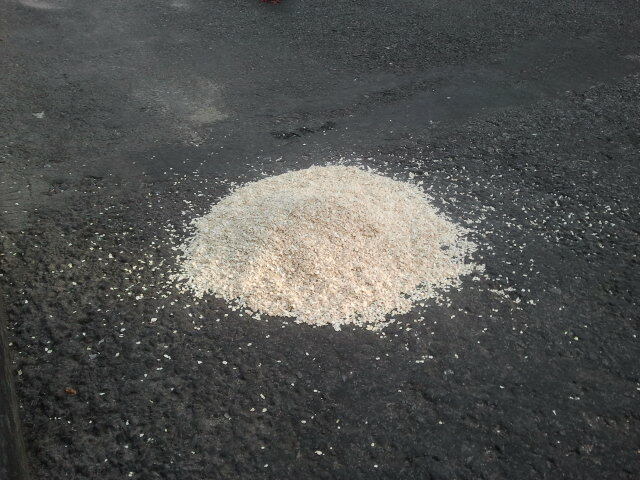 If you lost your giant pile of uncooked oatmeal, it is on Berry Street between North 9th and North 10th Streets on the west side of the street by the fire hydrant. It was last seen surrounded by gruff and hungry pigeons. 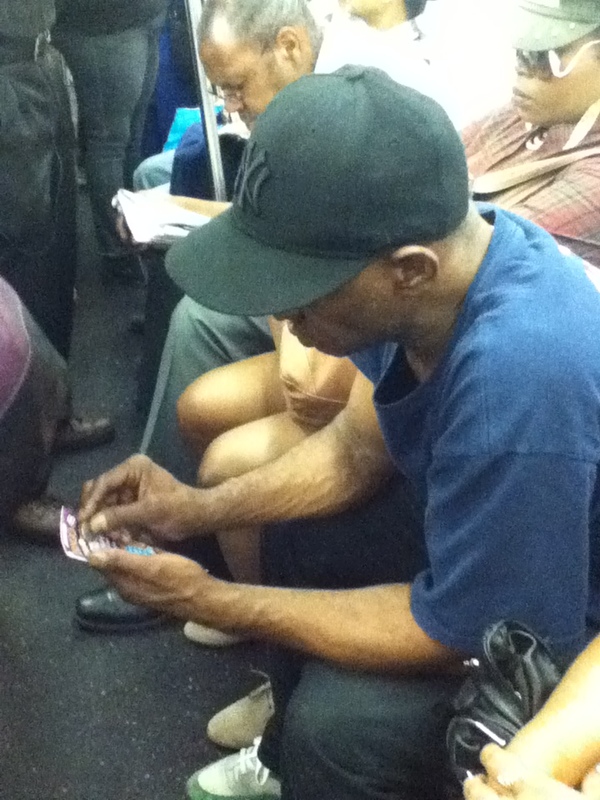 Activities more important to men than giving an obviously pregnant lady a seat on the subway during the summer heat. Watching Falling Skies on cellphone: I can’t stand up to watch this. Those child abducting aliens are scary; I could get weak in the knees. 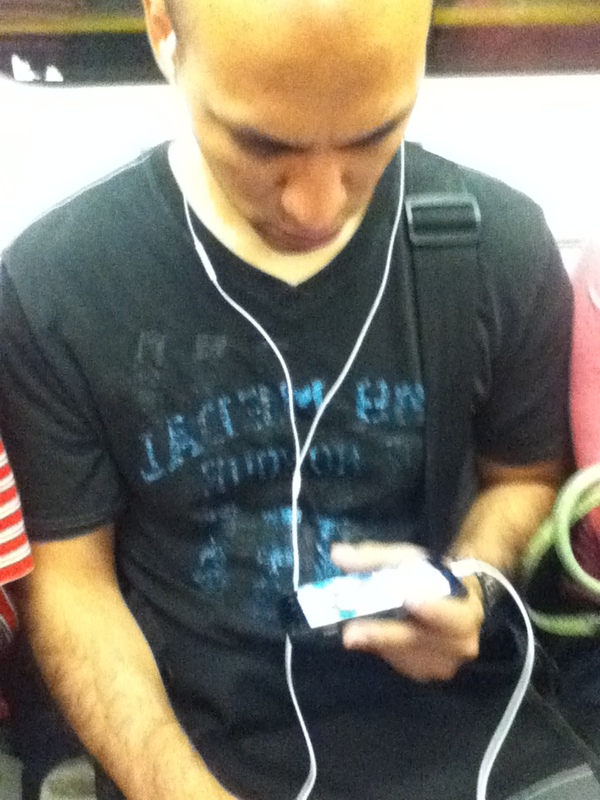 Playing scratch-off lotto: I will forcefully shove a pregnant lady out of my way to get to a seat. This could be a big winner. I am a prince of a man. Reading a paper on hemodynamics and antithrombotic mechanisms: This article has some great stuff on blood clots. Look how quickly your ankles are swelling up while you stand in front of me; hemodynamics are fascinating. 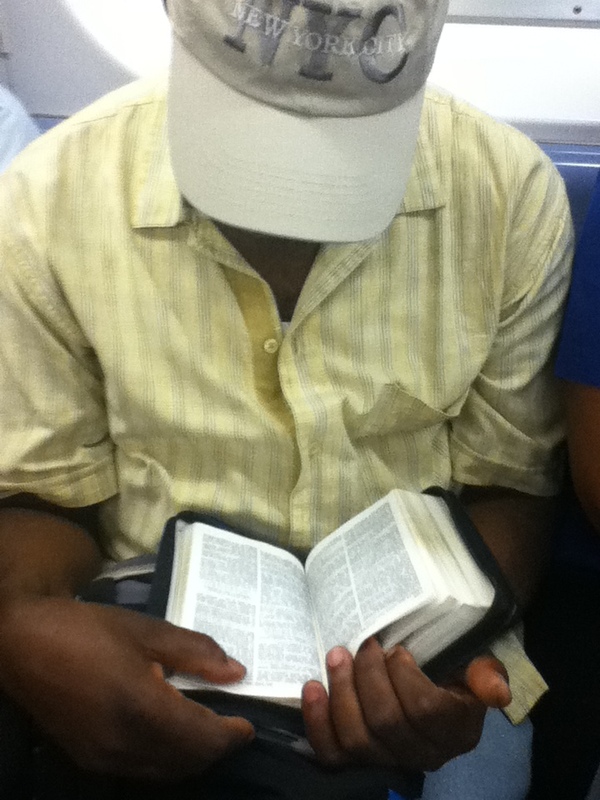 Reading the Bible: Compassion? 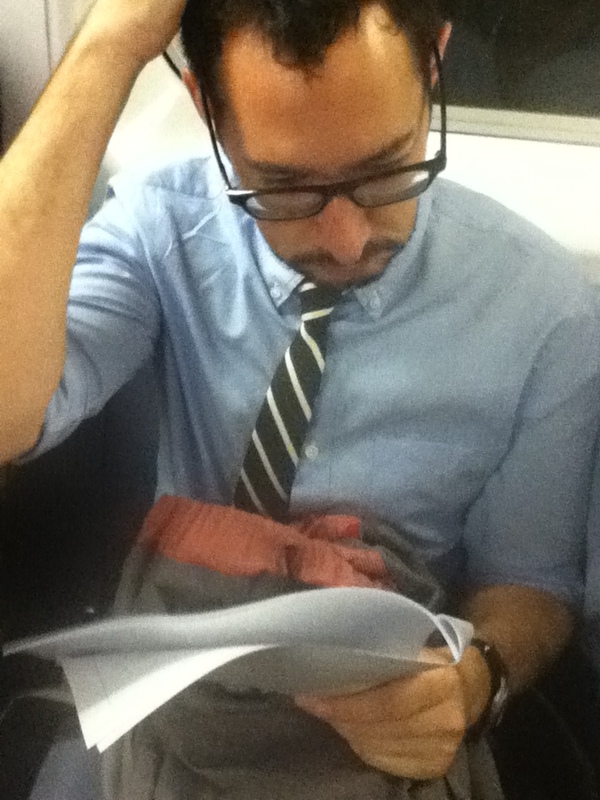 I can’t be compassionate right now; I’m reading the New Testament and my comprehension skills are awful.